It’s a cliché to call versatile cars—and Land Rovers in particular—Swiss Army Knives. It’s inaccurate; knives can cut, carve, slice, pick, pinch, and screw. Land Rovers can’t do any of those things. but the new 2017 Discovery can do plenty. 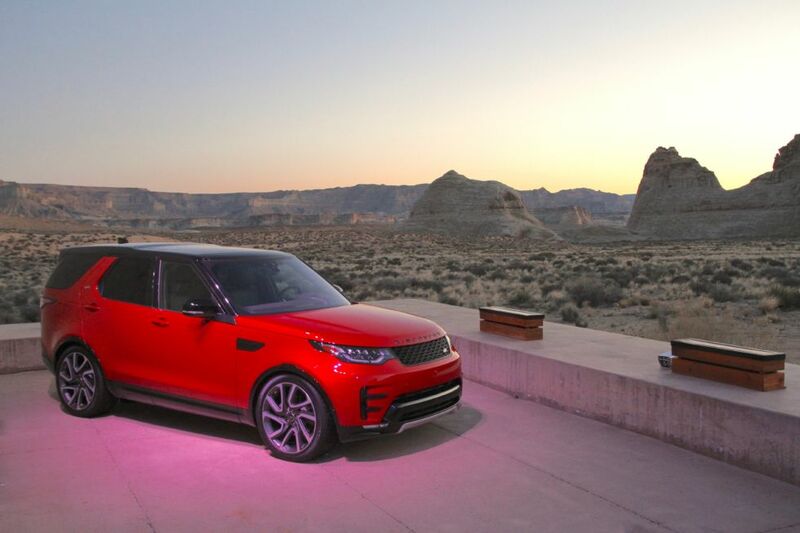 With this vehicle, Land Rover is betting the whole farm, the livestock, and the apartment in the city that the Discovery will carve out an extra portion of the market. The big stuff first: There’s nothing within roughly $40,000 of the new Discovery (about $50,000 base price and roughly $64,000 as tested here) that can hang with it, in all its various roles including ne plus ultra off-roader, seven-seat transporter, capable tow rig, and luxury car. 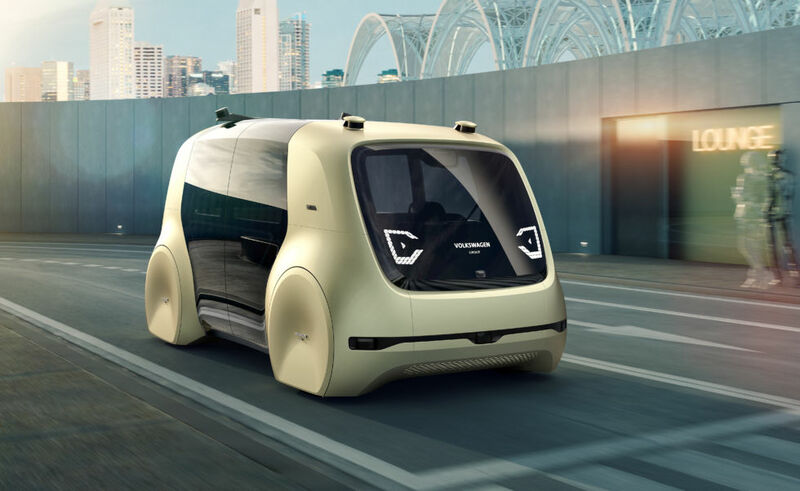 Volkswagen’s plans to develop fully autonomous vehicles that would offer greater comfort and convenience than current cars, while slashing the number of road deaths and truly democratizing mobility, have borne their first fruit. This is Sedric, designed to be a platform for cross-brand ideas, which will feed into subsequent concepts from the group’s car brands. 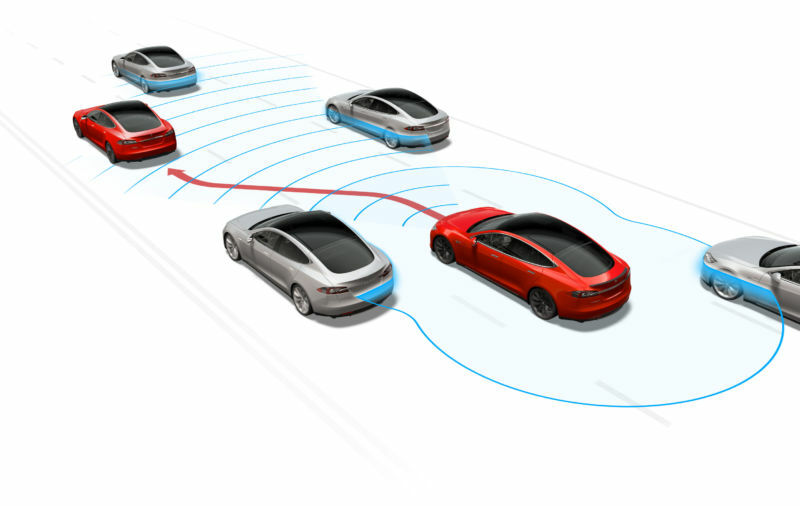 The biggest idea it introduces is its full “Level 5” autonomy: no human driver is required. 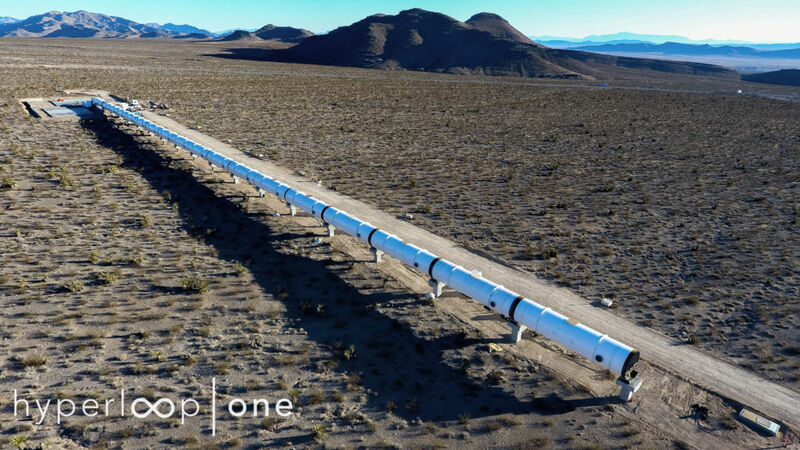 Los Angeles-based startup Hyperloop One has made it its mission to build a rail system that levitates pods on magnetic skis and sends them through a low-pressure tube at 760mph. At a railway conference in Dubai on Tuesday, the startup showed the first images of the test track it has started building in southern Nevada, north of Las Vegas. The test track is going to be 500m (or about a third of a mile) long and 3.3m (almost 11ft) wide. A press release from the startup said that it hopes to do a public test in the track in the first half of 2017. George Hotz first came to fame a decade ago after cracking open the original iPhone. A few years later, Sony responded negatively to his hacking of the PS3. These days, Hotz is focused on the problem of autonomous driving, creating headlines after teaching his Acura ILX to drive itself. His startup, comma.ai, made news last year when the National Highway Traffic Safety Administration questioned the company’s plans. Hotz soon pivoted to a free release of the product—now called Open Pilot—instead. Open Pilot currently only works with a handful of Acura and Honda vehicles, but it looks like Hotz was planning on adding Tesla support as well. Then, the electric vehicle maker’s legal team got involved. According to Electrek, Hotz was planning on buying a Tesla Model S with the latest HW2 sensors until Tesla’s legal office reached out to him just before delivery. Hotz told Electrek that Tesla’s lawyers specifically called to remind him that intellectual property theft is a crime. Hotz told the car site he’s now concerned about buying a car from “a company that has ssh (Secure Shell) access to all the cars.” As Tesla owners who have been in high-profile crashes may know all too well, the company has no compunctions accessing data logs from specific cars when it feels it’s being misrepresented. Top Gear‘s 23rd season was not the show’s finest. After the departure of Jeremy Clarkson, James May, Richard Hammond, Producer Andy Wilman, and several others, Chris Evans was drafted in by the BBC to front the show, but poor chemistry and a dearth of new ideas saw ratings plummet in 2016. 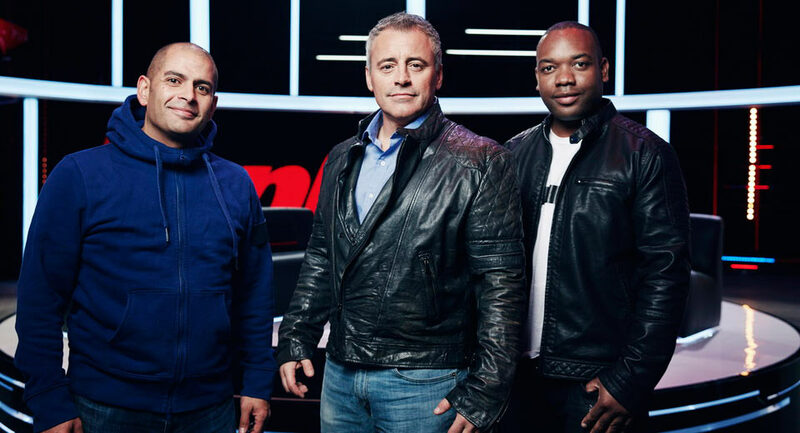 Evans duly fell on his sword, and when season 24 debuted in the UK last night, it was a three-man act with Matt LeBlanc, Chris Harris, and Rory Reid sharing the duties. (The US has to wait until March 12, unfortunately.) Having watched the first episode, we’re rather impressed with the results. We particularly like some of the (overdue) tweaks to the format, which desperately needed to evolve for the post-Clarkson world. According to the New York Times’ Mike Isaac, who spoke to current and former Uber employees, Greyball tries to identify authorities through a number of vectors. Geofencing certain municipal offices and watching who frequently opens and closes the Uber app is an option. Or Uber can check if a credit card used to sign up for its service is linked to a police credit union. In other cases, Uber has gone to greater lengths to identify potentially hostile enforcement officers from finding Uber rides. To prevent authorities from buying stacks of cheap phones and signing up for service through those, the New York Times writes, Uber employees “went to that city’s local electronics stores to look up device numbers of the cheapest mobile phones on sale, which were often the ones bought by city officials, whose budgets were not sizable.” If Uber was not able to determine whether a potential rider was a threat or not, the company would gather data from publicly available social media or seek out other information online. A constant source of fascination for me is the software-defined car. Back in ye olden days, reconfiguring your car to suit the racetrack and then back again for the grocery run meant spending time wielding tools and getting your hands dirty. Today, it’s all done with the push of a button. Our new cars are coming preconfigured from the factory with a range of different driving flavors from which to pick. Want a re-mapped throttle pedal? Done. A completely different shift strategy for the gearbox? Easy. But to my mind, the ability to recalibrate a car’s suspension on the fly makes the biggest change to its character. You would think this would make me a fan of magnetorheological dampers. These are shock absorbers that use a damping fluid that changes viscosity—and therefore damping behavior—upon the application of a magnetic field. (The fluid is full of micron-scale magnetic particles that align when subjected to a magnetic field, stiffening the fluid as a result.) But when I think of the best-riding cars I’ve been lucky enough to drive, they all have one thing in common: conventional valved dampers. More conventional dampers don’t have to be any less clever than their magnet-empowered relatives. McLaren’s 650S is a great example, with its “banned in F1” system that links the front and rear of the car through a complex arrangement of hydraulic plumbing. 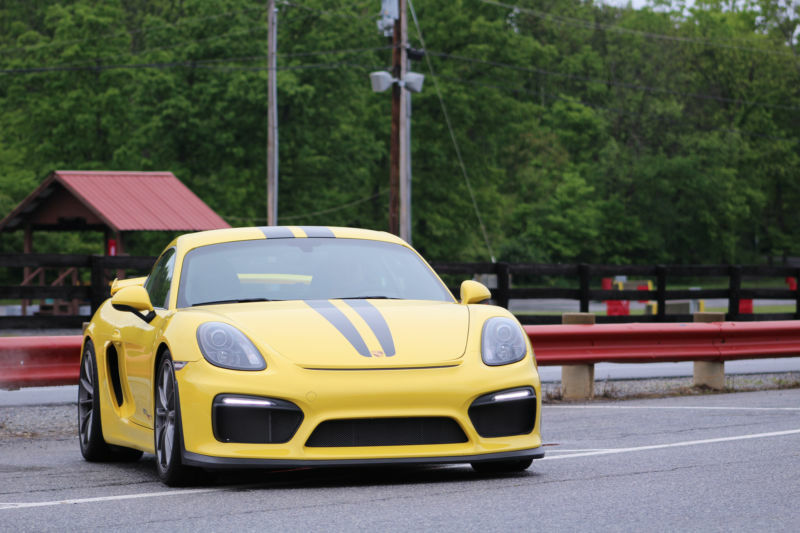 But maybe the most impressive ride I’ve encountered was behind the wheel of DSC Sport‘s Porsche Cayman GT4. 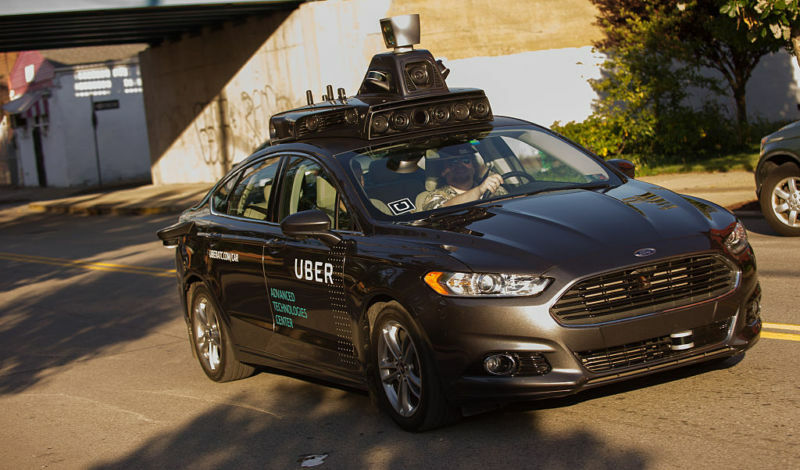 On Thursday, the San Jose Mercury News reported that Uber applied for a permit to test its self-driving cars on California roads. In December, the company said that it would not apply for the permit, but its Thursday announcement reverses this position. The news comes after a very public spat between the ride-hailing startup and the California Department of Motor Vehicles. 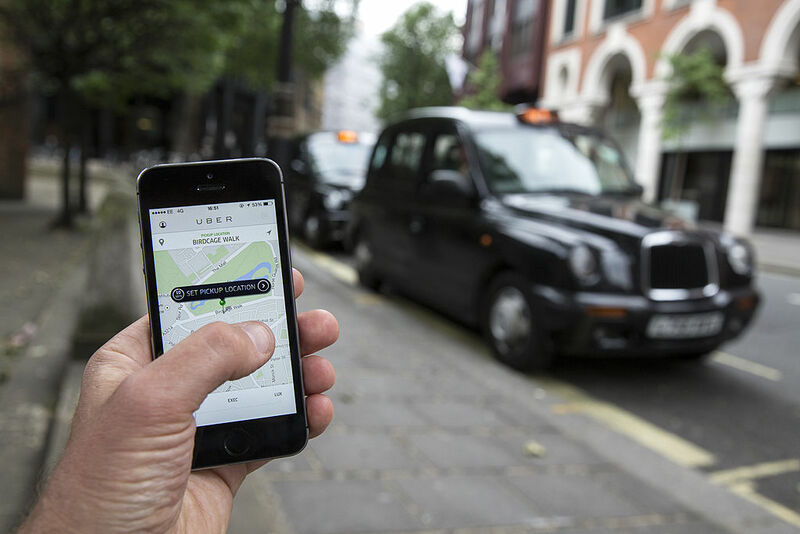 That spat ended with the California DMV revoking registrations for Uber’s test vehicles after Uber refused to apply for permitting. Uber had claimed that its cars were merely equipped with Advanced Driver Assist Systems (ADAS) and didn’t require permitting. Uber took its cars to Arizona, where the state assured the company that it wouldn’t have to apply for a special permit to test self-driving software. For fifty years, Chevrolet’s Camaro has been the car of choice for hot rodders and amateur racers. It has provided a skeleton for engine transplants, bodywork for outlandish paint, and the canvas on which road racers project their Mark Donohue dreams. But no one has capitalized on the platform’s flexibility more than Chevy itself. 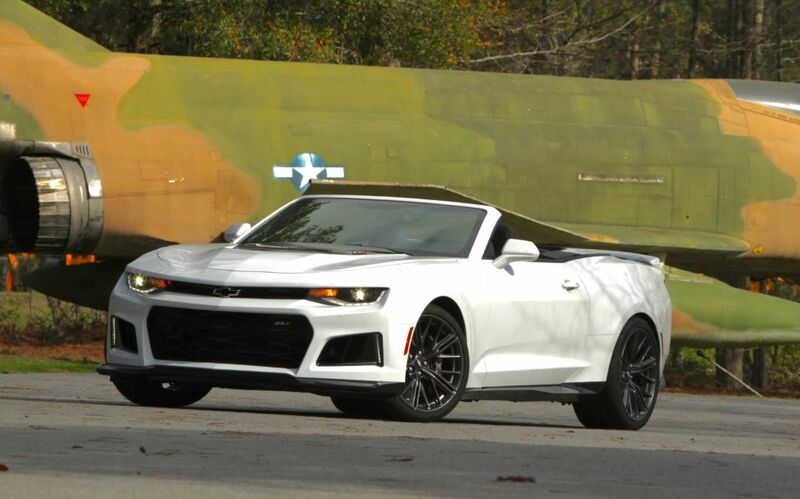 Just look at the new Camaro ZL1. Judge this book by its cover. It’s all splitters, scoops, spoilers, and shouting exhausts. It has big fenders only partially shrouding enormous Goodyear Eagle F1 Supercar tires—of a construction not offered anywhere else—in sizes of 285/30ZR20 up front and 305/30ZR20 in the rear. I’ll save you the math—that’s over 11 inches of rubber width in front and 12 in the rear. To coincide with the opening of its newest store in Washington, DC, Tesla asked us if we’d like to spend a few days with one of its latest Model S P100Ds. However, there was just one catch; we’d have to do all the driving ourselves. 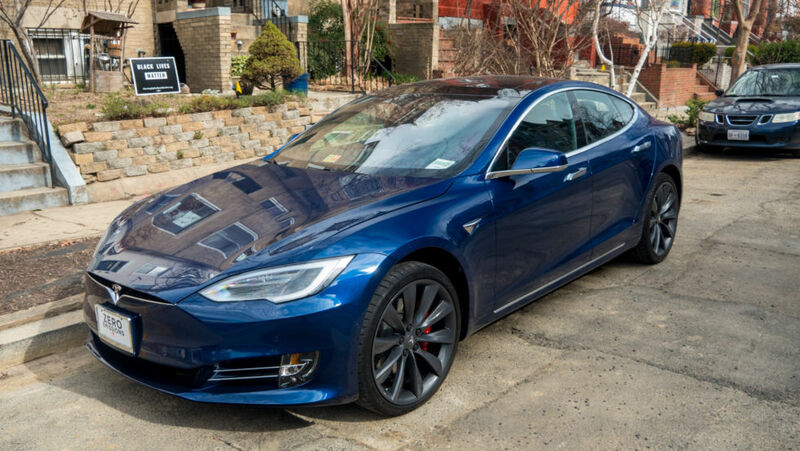 As one of the newest cars off the production line, this Model S was equipped with Tesla’s own self-driving sensors (known in Tesla-world as HW2), but the company is still in the process of pushing out the software necessary to enable Autopilot in these cars. Scratch that plan of road-tripping up to New York—a proper test of the new Autopilot will have to wait. Autopilot may have been absent, but this P100D did have a rather special trick up it’s sleeve: an easter egg that makes Ludicrous Mode even more, well, ludicrous. So, rather than try out the P100D’s humongous (for an electric vehicle) range—315 miles according to the EPA—we spent our days finding out just how fast it really is. The answer? Ludicrously fast.